We are psyched to continue the recent flurry of grassroots cycling events with a film screening and fundraiser. 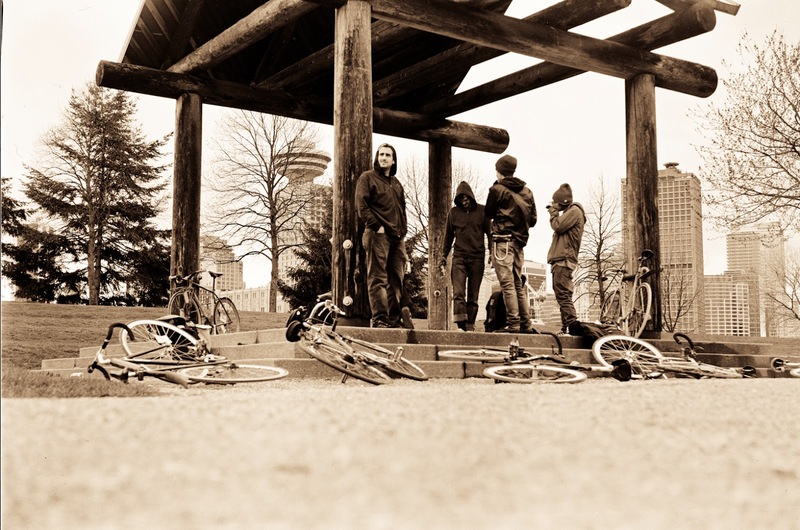 Murder of Couriers - A Bike Messenger Documentary has been released by its Vancouver filmmakers. 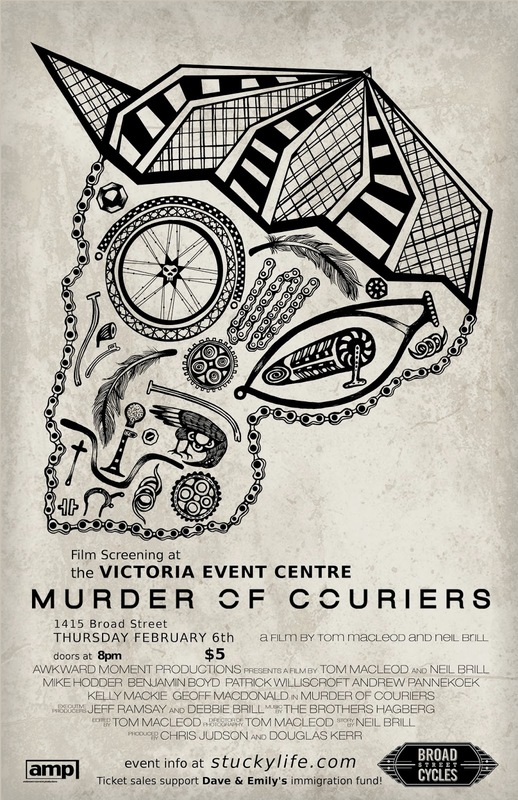 We are pleased to have the first crack at screening this bit of bike culture on February 6. 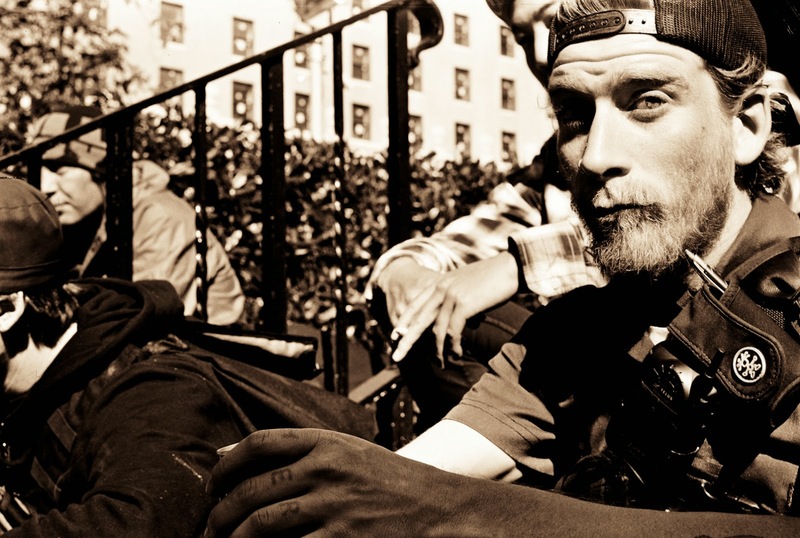 Need another reason to come out and socialize around a locally-produced film about bike life? Chalk it up to charity, and come out in support of our latest cause celebre: Dave Kennedy and Emily Donner's difficult immigration situation. Pass the page break for the fundraiser low-down, a film trailer, and more event details! Tickets are $5, available at the door and in advance at Broad Street Cycles. All proceeds are being donated to long-time bike courier David Kennedy and his girlfriend Emily Donner for immigration legal aid. More details on their situation, HERE. 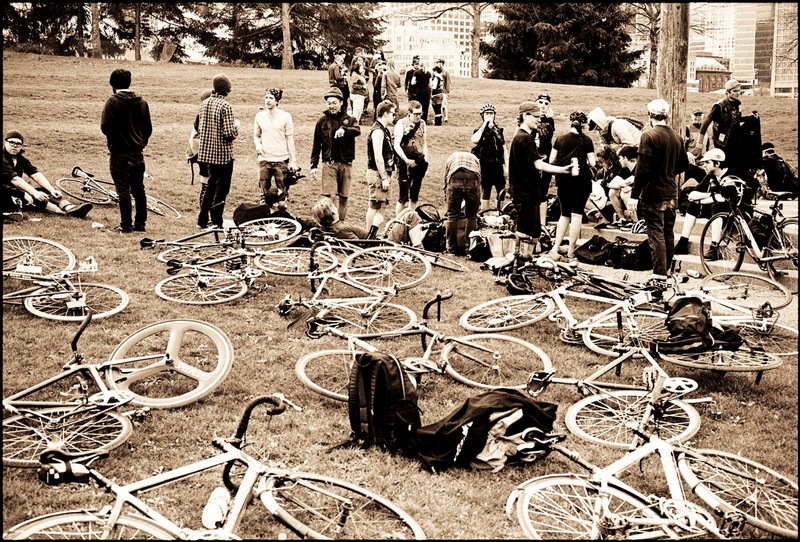 There may even be a casual beer, beaches and bikes group ride before the film. We'll keep you posted via FB, twitter and the SL blog on this. The best part? We will have Phillips beer on tap all night. Get loose! Feel free to stop in at Broad Street Cycles to pick up a ticket, and chat with the guys about the upcoming screening. 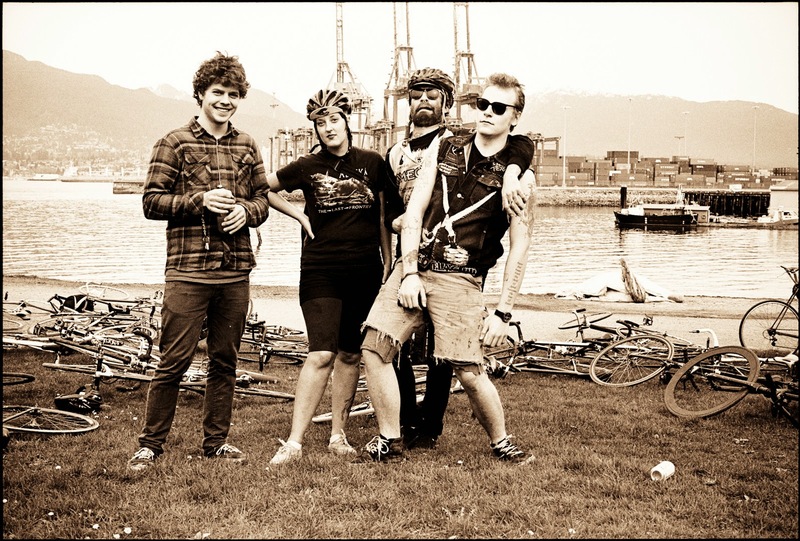 Murder of Couriers documents the lives of a group of bike messengers over a nearly three-year span. This film was made by couriers, about couriers, for a wide general audience and offers the chance to experience a lifestyle that not many get the privilege to enjoy.